Becoming the King of Rock and Roll? 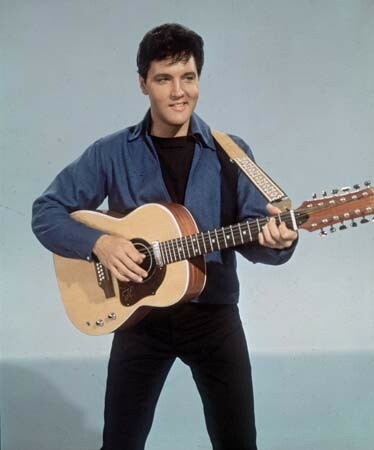 Elvis had 39 songs and more. He was a actor as well as a musician. He had 14 #1 records, 38 top 10 songs, plus 102 top 40 titles. That is really incredible no one before had done that artist today might have but back then that was extraordinary. 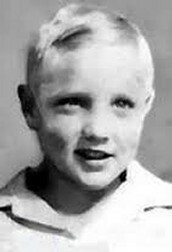 This is a picture of Elvis as a baby. 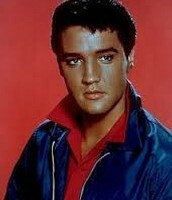 Classic and natural painting of a younger Elvis. 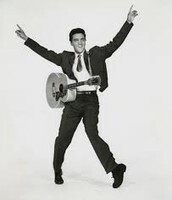 One of Elvis's poses after a song. Becoming the singer we all will remember. He grew up very poor and sending out auditions to any recording business. He was a teenager when a man named Sam Philips from sun records gave Elvis a audition to become a recording artist at Sun Records. 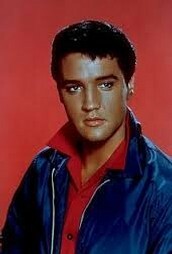 This led to Elvis becoming famous on the radio and success in life. He was a poor teenager that had just moved and Sam Philips gave him the chance he needed. 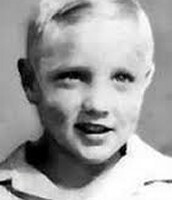 Elvis Presley was born on January 8th 1935. He then died 42 years later in 1977 after great success. During his life span he accomplished many things. Some which some of the music artist today can't even accomplish. 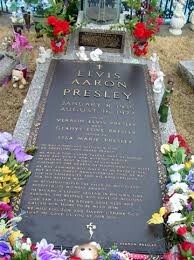 Down below you can see a picture of the great musician's grave stone.